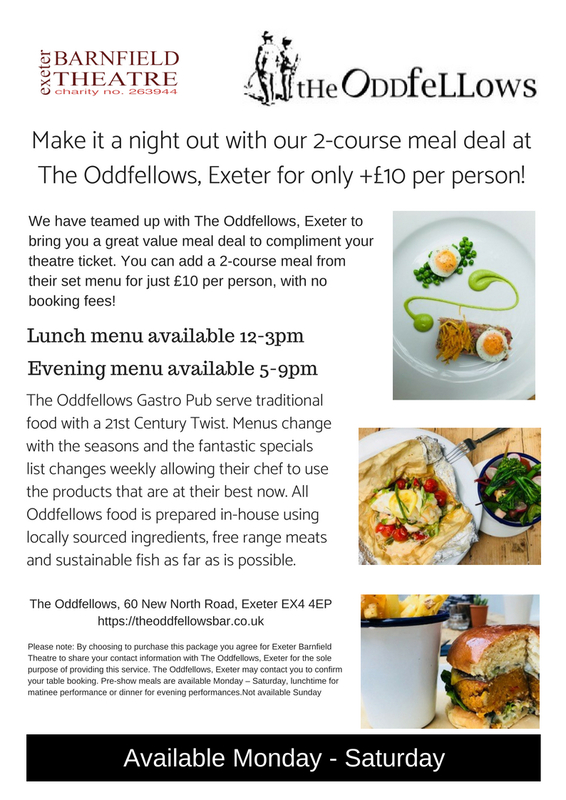 Why not make your visit extra-special with a £10 per person pre-show meal at The Oddfellows? Booking couldn’t be easier – you will be prompted to add to your order when you purchase your tickets online – simply add the number of meals you want, checkout and let us do the rest for you. The offer is also available when booking by phone or in person – simply let us know at time of booking and we will add the meal deal to your order.